Heres a missed shot. 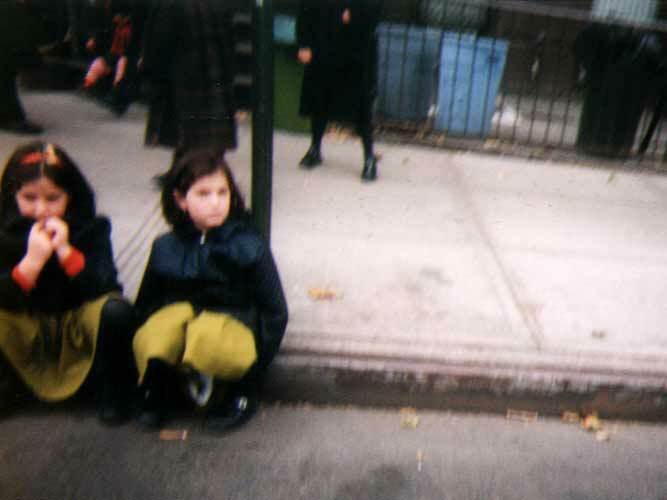 A row of Orthodox Jewish girls lined up on a curb. They were so cute. This neighborhood is a very serene part of the course. These guys have the right idea. The marathon is one big long party. 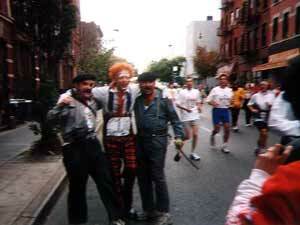 They were tooting horns, bellowing and found a kindred spirit in a clown running along in very long floppy shoes. 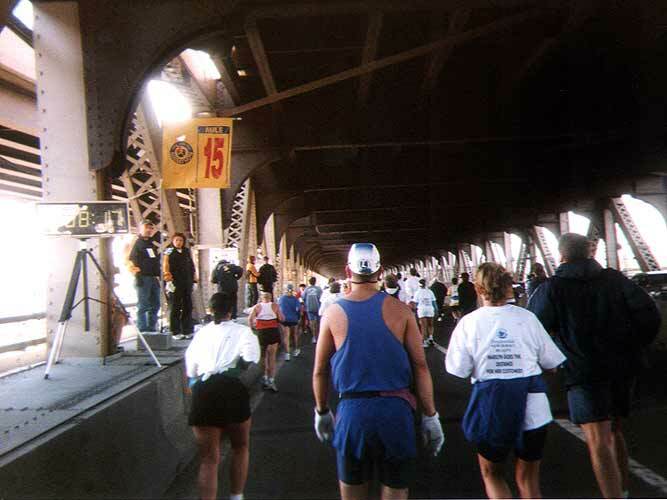 Here we approach the halfway point, the Pulaski Bridge, 13.1 miles! I was concerned that I had overexerted myself in the first half and now would pay in the second half. But I felt great. I might fall apart later but I kept the pace up. 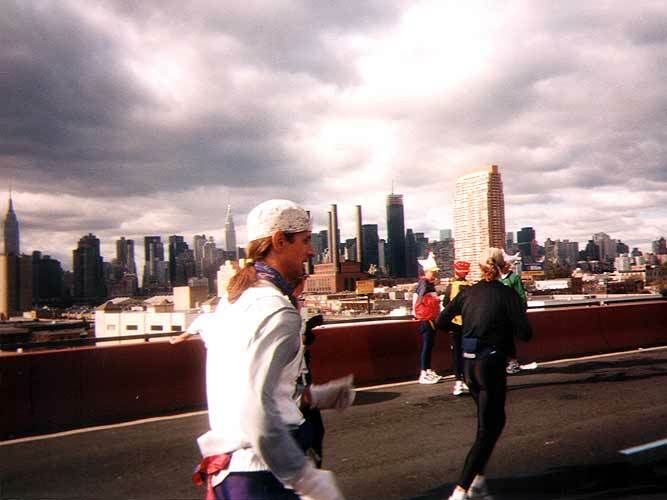 On the bridge you get a great view of the Manhattan skyline. 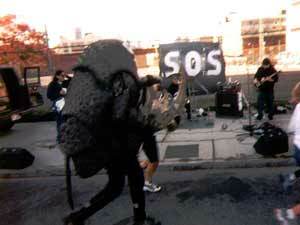 Then youre in Queens, not terribly far from where I live. I saw only one Rhino out this year. He looked lonelyusually there are a pair. There was plenty of bands out along the route. 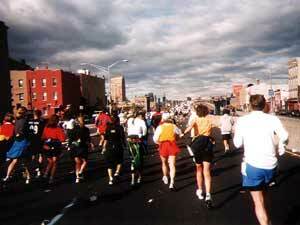 My bladder was full and crying out for relief. I thought I'd go on the Queensboro Bridge. Heres the 15 mile point. Couldnt find a discreet place until the top where there was a opening to the outer walkway. The Rhino followed me and also did his business, struggling with straps and whatnot. A Japanese runner snapped a picture of this and for a moment it seemed the annoyed Rhino might charge.